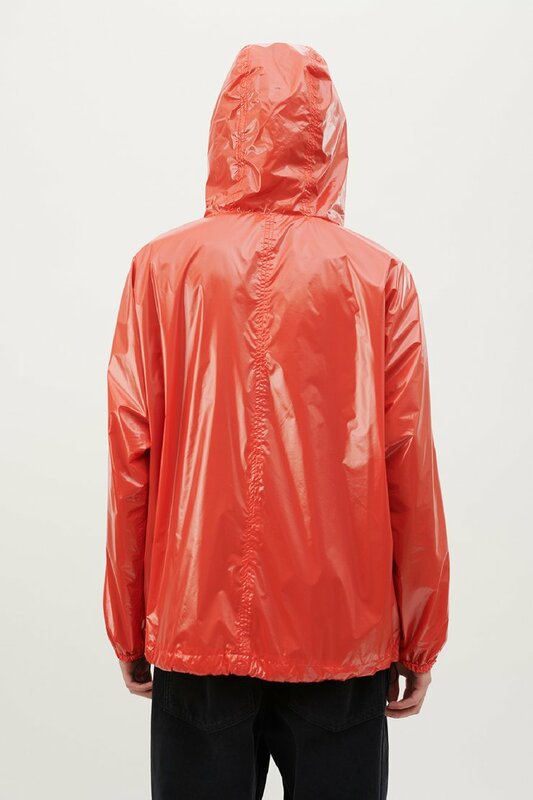 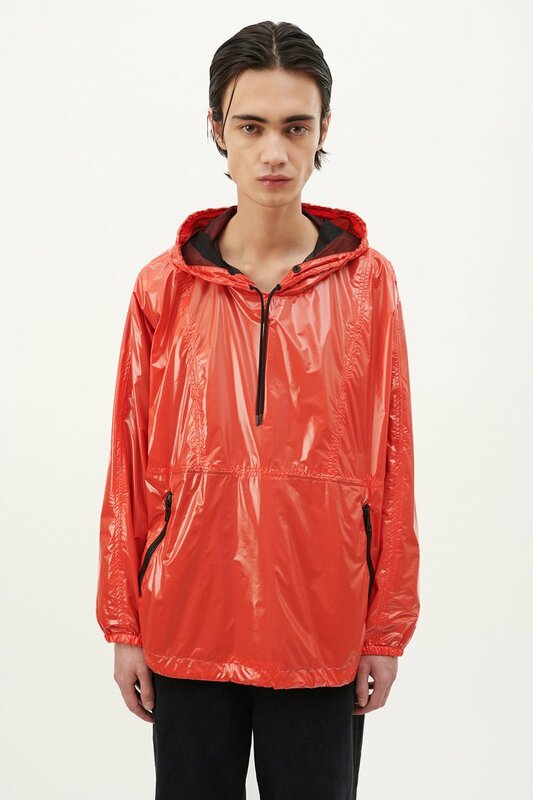 Our Constructed Festival Parka in Garbage Red. 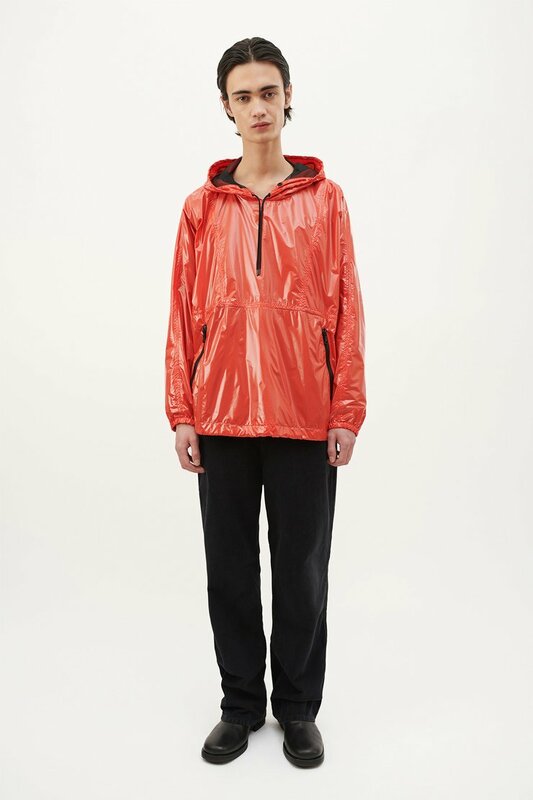 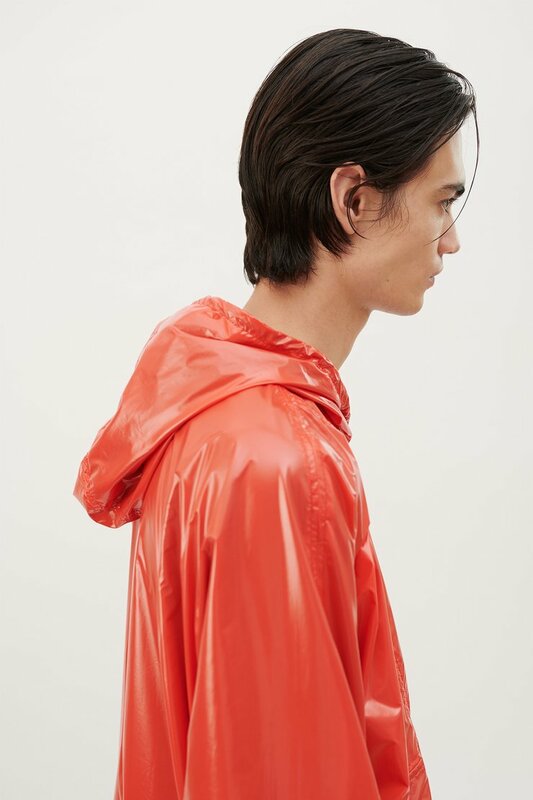 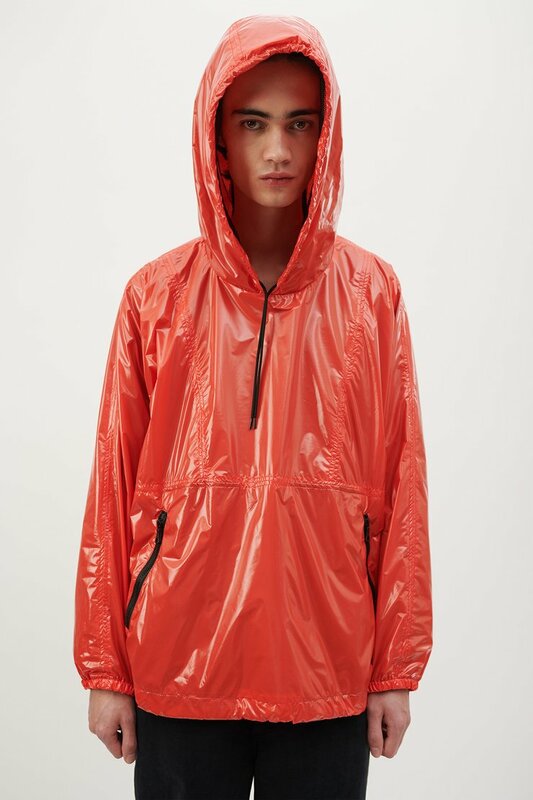 Produced in a glossy Italian tech fabric, this relaxed and boxy fitting pullover parka is fully mesh lined and features a drawstring hood and two front pockets with RiRi zip closure. 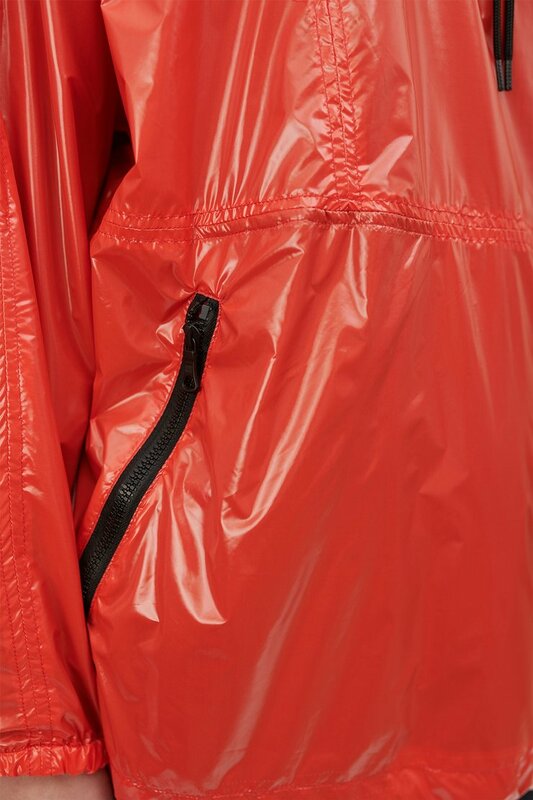 Our Festival Parka is true to size with a relaxed, boxy fit. 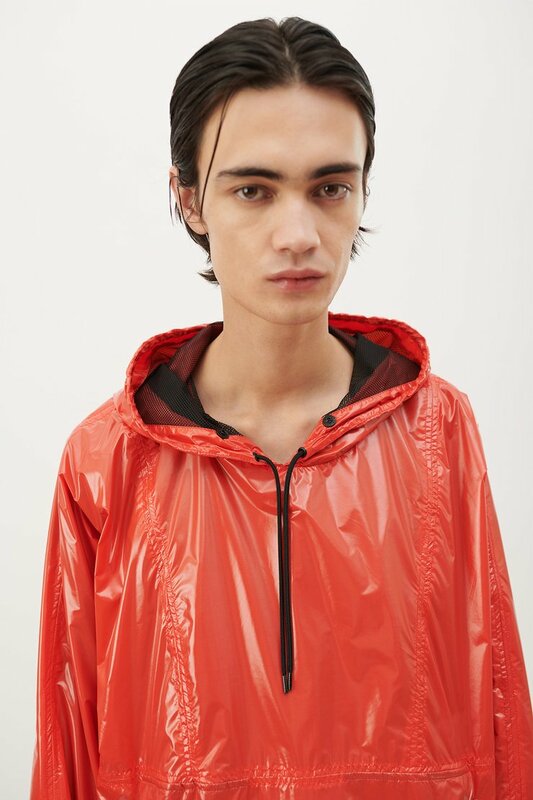 The model is 189 cm tall and is wearing a size M/48.